The Hawaiian Islands Compared: Which Hawaiian Island Should I Visit? October 5, 2018 By Christina 1 Comment This post may contain affiliate links. Read my disclosure policy here. Have you been wanting to visit the Hawaiian islands and you’re just not sure which Hawaiian island to visit? It’s the dilemma of many, as each island has such different things to offer. We have traveled a lot in the last several years, but the Hawaiian Islands remain one of my favorite travel destinations! What’s the BEST Hawaiian Island to Visit? Picking which is the best Hawaiian Island to visit will generate different answers depending on who you are talking to, which is why it’ better to compare the different Hawaiian islands and let you choose for yourself! We have been to them all and I still switch back and forth on which one is my favorite. And it certainly depends on what your main goal is for your vacation: Are you wanting relaxation? Adventure? City life? Whatever your goal may be, make sure you read our Hawaii Tips article that covers everything we wish we knew before our first trip to Hawaii (it applies to all the islands). 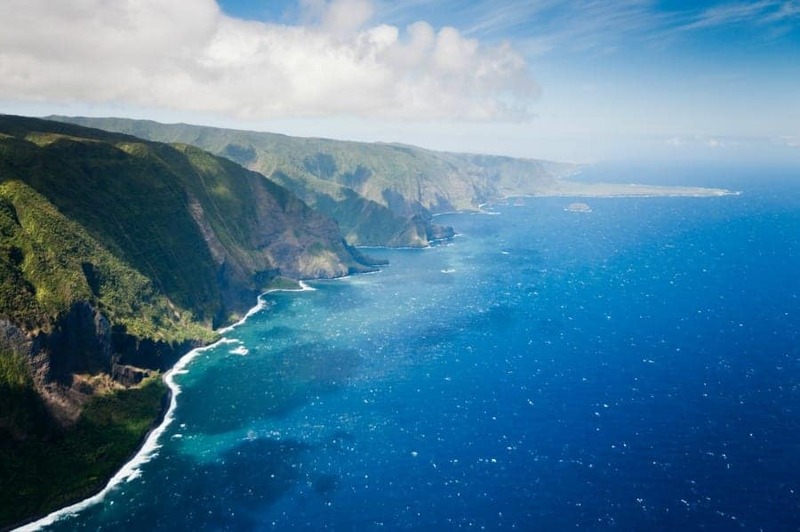 Hawaii Island Names: How Many Hawaiian Islands Are There? 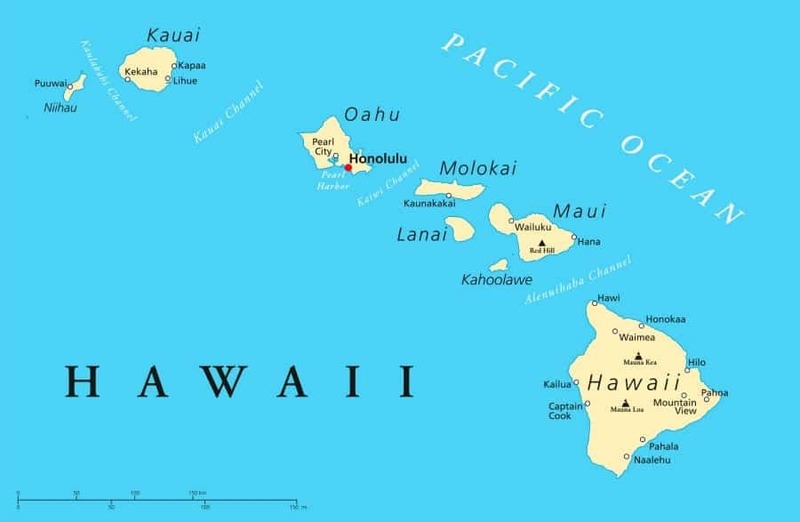 You can see on this Hawaiian Islands Map, there are 8 main islands that make up Hawaii, listed below from largest to smallest. Typically the first 6 islands are your tourist destinations that we will focus on, with the first four Hawaiian Islands being the most popular (Hawaii, Maui, Kauai and Oahu). It’s good to get familiar with the Hawaii Island names so that you can keep them straight when you ask people for travel tips. See our guide: the Big Island Hawaii for tips on the best things to do on this particular island. About 4,000 square miles and a population somewhere around 185,000 people, by far the biggest; about 60% of the total area of the all the islands. It is still smaller than the state of Connecticut, one of the smallest states in the continental US. This is the only Hawaiian island with an active volcano and certainly has some of the most diverse climates because of that. The volcanoes act as shields and you can catch everything from snowy mountaintops to tropical rain forests. You can choose your climate here, the wetter tropical side (hilo), or the sunnier dry side (kona). 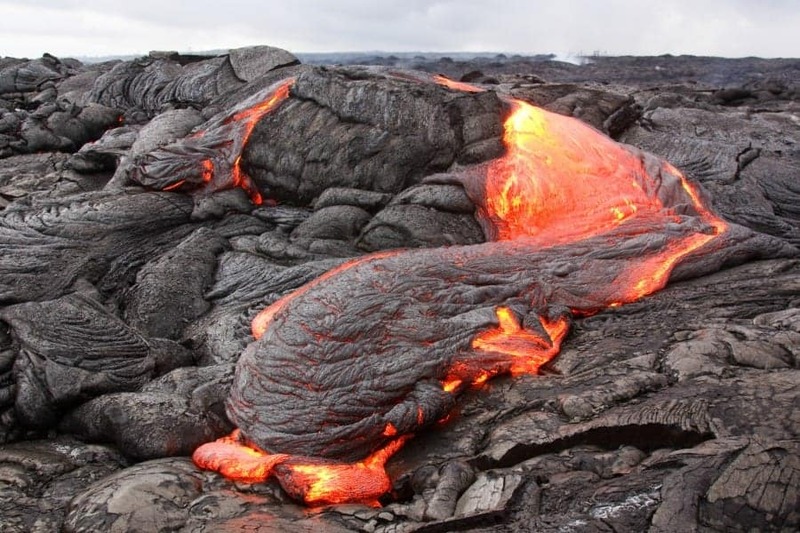 Check out some of its own black sand beaches flowing magma from the volcanoes. Temperatures average in the low to mid 80’s with very low rainfall on the kona side and quite a bit of rain on the hilo side. A little over 700 square miles (just smaller than Rhode Island) and a population of 140,000. 1/5 the size of the Big Island but similar population size. This is a best fit for someone looking for a mix of rural life and adventure, while not breaking the bank. The road to Hana can’t be passed up which makes it important to have a car on this island. You will get to experience beautiful gardens, amazing waterfalls and more. Haleakala National Park houses its dormant volcano and for an awesome treat, catch this at sunrise. You can see some amazing beaches, black, red and white sand, all on this one island. A black sand beach is not an experience to be missed! Flights are typically the second cheapest to Maui (the cheapest being to Oahu). Maui gets a little warmer (especially on the south side) averaging in the high 80’s and fairly low rainfall except for Hana. Almost 600 square miles and a population of 950,000 people about 70% of the population of all the Hawaiian Islands) Much smaller than the Big Island and slightly smaller than Maui with 5x the number of people. The state capital of Honolulu is on the island of Oahu. 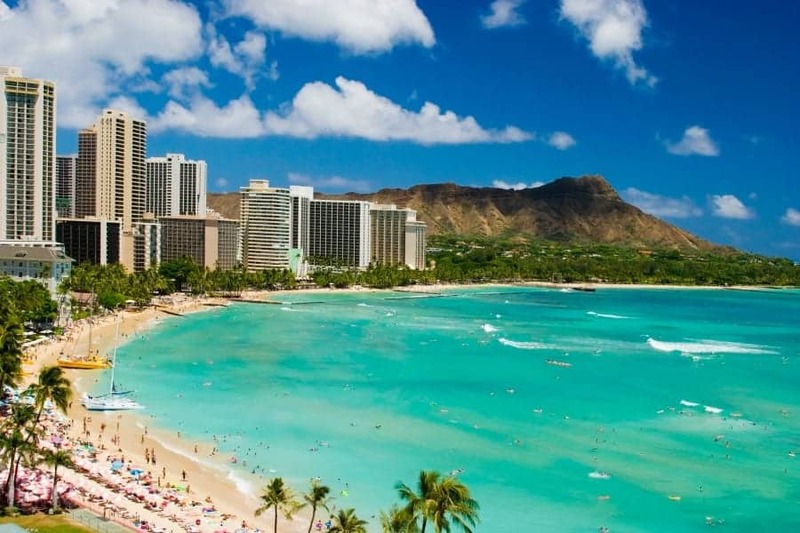 Known for value (typically flights to Oahu are the cheapest of the islands), city, nightlife, history and activities. Some of the most well known surf towns are on this island and must sees here are Waikiki Beach, Pearl Harbor, and the North Shore. This is the most “touristy” for good reason, with some of the best eats, and cultural activities you will never have a dull moment here. You can find a little of everything from sunbathing and snorkeling, to surfing, to great Luaus. This island certainly gives you a taste of everything that makes Hawaii, Hawaii. Temperatures on most of Oahu hover in the mid 80’s with moderate rainfall. 550 square miles and only 66,000 people. It is the oldest of the islands and because of that has a much more diverse topography. It is most well known for its outdoor activities because of the mountains, cliffs, rain forests, rivers and waterfalls. It’s a great sport of kayaking, snorkeling, zip lines, helicopter rides or hiking (basically the outdoor adventurer). 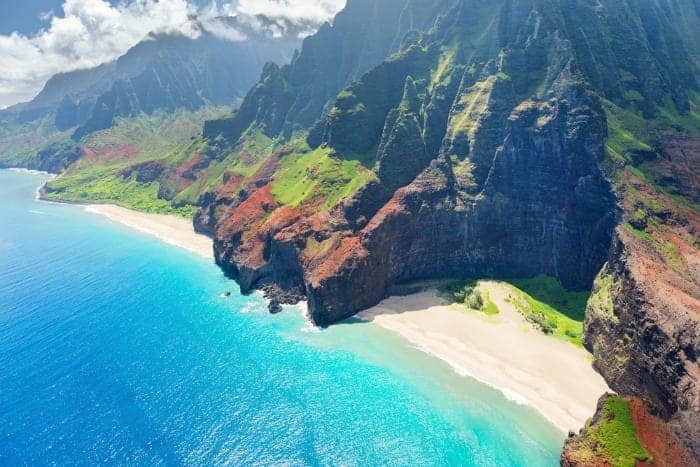 It will typically cost you a little more to fly here, but some of the must sees are Hanalei Bay, Poipu Beach, Kokee State Park, Waimea Canyon State Park (“The Grand Canyon of the Pacific”). You’ll find great resort options here (just like Oahu and Maui), with added adventure and a little more peace and quiet. Average temperatures are in the mid 80’s with moderate to high rainfall compared to Maui or Oahu. 260 square miles and only about 7,000 people. This is one of the most remote islands, lacking in modern amenities, but most off the beaten path. If you are looking to get a Hawaii experience “off grid” and away from the hustle and bustle of most of the islands, this could be a great fit. There are no longer any resorts on Molokai but smaller accommodations can be found, and no direct flights from the mainland to Molokai. See Molokai lodging options here. 140 square miles and about 3,000 people. This is a tiny tiny island and you get there by ferry from the island of Maui, so you might want to visit Lanai in addition to another island. Most of the population are plantation workers, but have no fear–there are 2 great resorts as well as a renowned golf course. 70 square miles and 170 people. 44 square miles and uninhabited. Best Hawaiian Island For Honeymoon? Another question that gets asked is “what’s the best Hawaiian Island for a Honeymoon?” My personal opinion is that the best Hawaiian island for a honeymoon is going to be either Maui or Kauai. 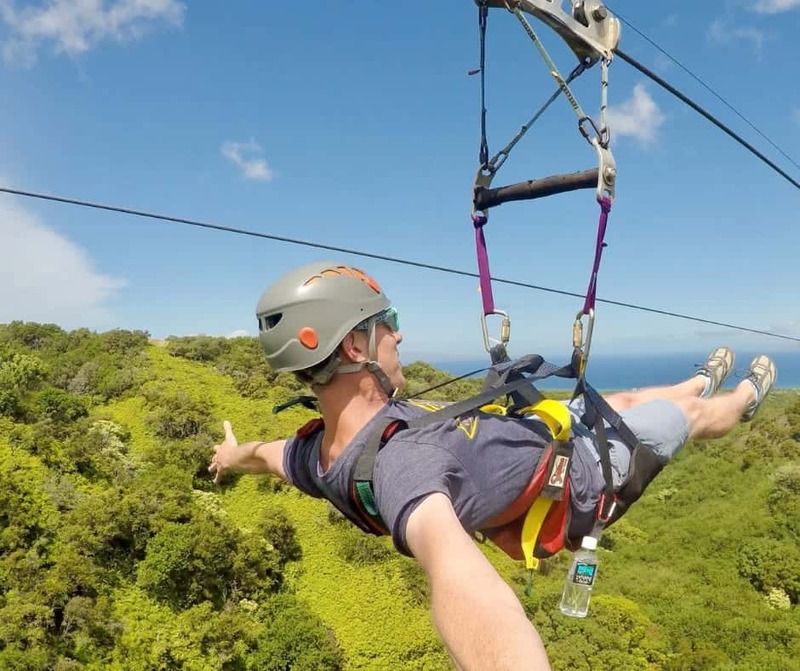 Read my article on Maui vs. Kauai for a more in depth comparison of the two islands, but these two seem to be the more popular Hawaiian Islands for honeymooners. If you want remote, go with Kauai. If you want calmer waters and the touristy appeal–go with Maui. But either way you go, you can’t go wrong. We love all of the Hawaiian islands! We hope you enjoyed our comparison of the Hawaiian islands. Now you can see why it’s hard to say which is the best Hawaiian island to visit, because it’s all personal preference! When picking which Hawaiian island to visit, first decide what your main vacation goals are, and go from there! Oh this makes me want to plan a cruise so bad! Thanks for the blog post!